Gentile (from Latin gentilis, by the French gentil, feminine: gentille, meaning of or belonging to a clan or tribe) is an ethnonym that commonly means non-Jew. Other groups that claim Israelite heritage sometimes use the term to describe outsiders. The term is used by English translators for the Hebrew גוי‎ (goy) and נכרי‎ (nokhri) in the Hebrew Bible and the Greek word ἔθνη (éthnē) in the New Testament. The term "gentiles" is derived from Latin, used for contextual translation, and not an original Hebrew or Greek word from the Bible. The original words goy and ethnos refer to "peoples" or "nations" and is applied to both Israelites and non-Israelites in the Bible. However, in most biblical uses, it denotes nations that are politically distinct from Israel. Since most of the nations at the time of the Bible were "heathens", goy or gentile became synonymous with heathen, although their literal translation is distinct. The term gentile thus became identical to the later term Ummot ha-olam (nations of the world). Latin and later English translators selectively used the term "gentiles" when the context for the base term "peoples" or "nations" referred to non-Israelite peoples or nations in English translations of the Bible. In Mormon contexts the word can be used to refer to people who are not members of the Church of Jesus Christ of Latter-day Saints. The Torah (Law of Moses written in the first five books of the Bible) exhibits a passionate intolerance of the Gentile nations, alleging the Gentiles practiced "idolatry" and other things it holds to be immoral; the Torah requires the Hebrews to engage in genocide and exterminate or expel the Canaanites (otherwise known as the Phoenicians) without mercy (Deuteronomy 6, 20), and forbade the Hebrews to intermarry with them or adopt their customs. It alleges that the Gentiles' barbarism would "contaminate" the Hebrews. Paul Copan argues that Joshua fulfilled this command. "Gentile" derives from Latin gentilis, which itself derives from the Latin gens (from which, together with forms of the cognate Greek word genos, also derive gene, general, genus, genesis, gentry, and gentleman) meaning clan or tribe. Gens derives from the Proto-Indo-European *ǵénh₁tis. The original meaning of "clan" or "family" was extended in post-Augustan Latin to acquire the wider meaning of belonging to a distinct nation or ethnicity. Later still, the word came to refer to other nations, 'not a Roman citizen'. In Saint Jerome's Latin version of the Bible, the Vulgate, gentilis was used in this wider sense, along with gentes, to translate Greek and Hebrew words with similar meanings when the text referred to the non-Israelite peoples. In the pre-exilic times the relationship between Israelites and gentiles were mostly hostile and the non-Israelites such as Babylonians, Egyptians and Assyrians were always seen as an enemy. However the exile changed Jewish-gentile relationship to be less hostile. The books of Ruth and Jonah reject the racialization of the Israelite religion by Ezra. Rabbinical writings often show more hostility towards gentiles due to frequent persecution of the Jews by these nations. Some rabbis show more compassion towards the gentiles, while others are less tolerant. Eliezer ben Hyrcanus writes that the mind of every gentile is always intent upon idolatry. He believed that gentiles only perform animal sacrifice to make a name for themselves. He further believed that gentiles have no share in the world to come. Frequent prosecution of the Jews by Romans at this time may have helped harbor anti-gentile feelings. Other rabbis show a more positive attitude towards the gentiles. Joshua ben Hananiah believed that there are righteous men amongst the gentiles who will enter the world to come. He believed that except for the descendents of the Amaleks, the rest of the gentiles will adopt monotheism and righteous amongst them will escape Gehenna. There is also a story about a dialogue between Joshua ben Hananiah and the Roman emperor Hadrian in which he tries to demonstrate that God deals with Israel with greater punishment for similar crimes. Eleazar of Modi'im wrote that Israelis, when guilty of the same sin as gentiles, will not enter hell whereas the gentiles will. Eleazar ben Azariah believed that the rulings performed by a gentile court are not valid for Jews. Rabbi Akiba believed that Israel's monotheism is far superior to the ever changing beliefs of the gentiles. Jose the Galilean criticizes Israel for inconsistency compared to the faithfulness of the gentiles to their ancestral beliefs. He believed the good deeds of the gentiles will be rewarded as well. The most famous of the anti-gentile teachers is Simeon bar Yochai. He is often quoted by anti-semites in his sayings: "The best of gentiles kill it, the best of snakes cut its head, the most pious of women is prone to sorcery." His beliefs might reflect the extreme persecution of the Jews by the Romans during his time and the fact that he spent a great portion of his life escaping from the Romans. Judah ben Ilai suggests that the recital "Blessed be though ... Who has not made me a gentile" should be performed daily. Rav Ashi believed that a Jew who sells a gentile property adjacent to a Jewish property should be excommunicated. A reason to discriminate against the gentiles was the vile and vicious character of them (Deuteronomy 32:21). The Talmud, referring to this passage, recalls the gentiles of Barbary and Mauretania who walked naked in the streets. The violation of Jewish women by gentile men was so frequent that the rabbis declared that a woman raped by a gentile should not be divorced from her husband, as Torah says: "The Torah outlawed the issue of a gentile as that of a beast." A gentile midwife was not to be employed for fear of the poisoning of the baby. The gentiles should be dealt with caution in cases of using them as witness in a criminal or civil suit. The gentile does not honor his promises like that of a Jew. The laws of the Torah were not to be revealed to the gentiles, for the knowledge of these laws might give gentiles an advantage in dealing with Jews. Resh Lakish wrote that "A gentile who observes Sabbath deserves death". Under rabbinical law, a modern-day gentile is required only to observe the Seven Laws of Noah, while Jews are bound by Mosaic law. In periods of decreased animosity between Jews and Gentiles, some of the rabbinical laws against fellowship and fraternization were relaxed; for example Maimonides himself was a physician to the Sultan. These remarks by Yosef were heavily criticized by many Jewish organizations such as Anti-Defamation League (ADL) and American Jewish Committee. According to those writings, a Jewish soul is composed of all three, whereas a Gentile soul contains only Nefesh. Within a few centuries, Christians used the word "Gentiles" to mean non-Christians. The alternative pagani was felt to be less elegant. In the terminology of The Church of Jesus Christ of Latter-day Saints (LDS Church), the word "gentile" takes on different meanings in different contexts which may confuse some and alienate others. Members of the LDS Church regard themselves as regathered Israelites, so sometimes use the word "gentile" to refer to all non-members. According to John L. Needham of Utah State University, "Mormons in the American West applied 'gentile', as an adjective as much as a slur, to nearly everyone and everything that did not adhere to their faith or desert kingdom." Because they had suffered persecution, the word gentile was "a call to circle the wagons socially and politically around the fold." 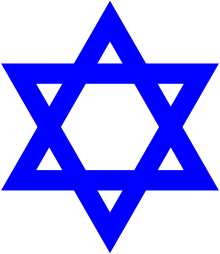 In such usage, Jews may be colloquially referred to as "gentiles" because they are not members of the LDS Church. However, the traditional meaning is also to be found in the introduction to the Book of Mormon, in the statement written to both "Jew" (literal descendants of the House of Israel) and "Gentile" (those not descended from the House of Israel or those of the tribe of Ephraim scattered among the "Gentiles" throughout the earth). Needham writes that Mormons have "outgrown the term." The LDS website states this about the meaning of Gentile. "As used in the scriptures, Gentiles has several meanings. Sometimes it designates people of non-Israelite lineage, sometimes people of non-Jewish lineage, and sometimes nations that are without the gospel, even though there may be some Israelite blood among the people. This latter usage is especially characteristic of the word as used in the Book of Mormon and Doctrine and Covenants. As in the King James Bible, from the 17th century onward, "gentile" was most commonly used to refer to non-Jews, in the context of European Christian societies with a Jewish minority. So "gentile" commonly meant persons brought up in the Christian faith, as opposed to the adherents of Judaism, and was not typically used to refer to non-Jews in non-Western cultures. ↑ "Gentile." Merriam-Webster.com. Merriam-Webster, n.d. Web. 6 June 2014. <http://www.merriam-webster.com/dictionary/gentile>. 1 2 Copan, Paul. "How Could God Command Killing the Canaanites?". Enrichment Journal. Assemblies of God. Retrieved 1 January 2016. ↑ Mark, Josua J. "Canaan". The Ancient History Encyclopedia. The Ancient History Encyclopedia. Retrieved 21 December 2015. ↑ Learned Ignorance: Intellectual Humility Among Jews, Christians and Muslims By James L. Heft, Reuven Firestone, Omid Safi, Oxford University Press, USA, 2011, p. 163. ↑ "Yisrael Nikraim Adam", Tzfiyah, v. 3, 1989, pp. 45-73. 1 2 Qabbalistic Magic: Talismans, Psalms, Amulets, and the Practice of High Ritual. Salomo Baal-Shem, Inner Traditions / Bear & Co, 2013, Chapter 5. ↑ Did a search for "Gentile" in KJV. Used BibleGateway.com Archived 2007-07-26 at WebCite. It returned 123 results of the word "Gentile". Retrieved 11 Feb 2007. ↑ Kohlenberger, John. The NRSV Concordance Unabridged. Grand Rapids, MI: Zondervan, 1991. ↑ "Utah Jewish History". Jewish Virtual Library. Retrieved 24 November 2013. ↑ Marcus, Jacob Rader. "Judeophobia and Antigentilism" in States Jewry, 1776–1985: Volume III The Germanic Period, Part 2, pp. 359–360. Detroit, MI: Wayne State University Press, 1993. ISBN 978-0-8143-2188-1. "Yet very few Jews were antigentilic. Despite his occasional hostility Wise was particularly close to liberal Christian religious groups. But where Judaism, the religion was concerned, neither Wise nor any other Jewish leader made any concessions to Christianity, not in substance."